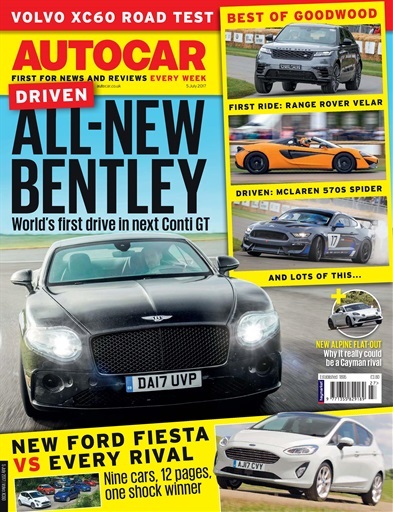 (0 Customer Reviews) | Write Review 51 issues per year Autocar is the car nut’s weekly fix, delivering you a unique mix of the latest news, opinion, features, first drives of new cars and in-depth road tests – all complemented by the best photography in the business. No other magazine covers the subject you love with such enthusiasm, insight and quality every week of the year. 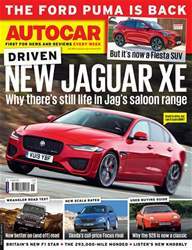 Autocar stands for the highest quality in car journalism – and is rewarded with access to the best new cars and the biggest news stories before any of the opposition which we share with you, our readers, every week. Please Note: This price excludes VAT which will be added when you checkout. 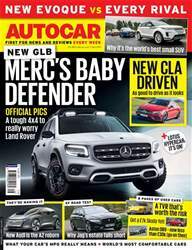 Looking for Autocar in print? Unfortunately pocketmags.com does not sell print copies of Autocar, but all is not lost. Our partner at magazine.co.uk sells print subscriptions at the best prices online. This week we test drive the NEW Bentley Continetal GT, plus we hitch a ride in the Alpine's A110 that looks to rival Porsche's Cayman. Autocar is the car nut’s weekly fix, delivering you a unique mix of the latest news, opinion, features, first drives of new cars and in-depth road tests – all complemented by the best photography in the business. No other magazine covers the subject you love with such enthusiasm, insight and quality every week of the year. Autocar stands for the highest quality in car journalism – and is rewarded with access to the best new cars and the biggest news stories before any of the opposition which we share with you, our readers, every week. Please Note: This price excludes VAT which will be added when you checkout. 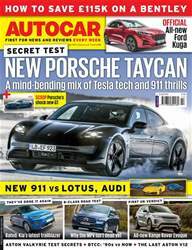 You'll receive 51 issues during a 1 year Autocar magazine subscription. 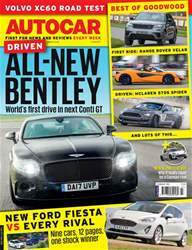 You'll receive 51 issues during a 1 year Autocar magazine print subscription.